Global relevance requires global reach that efficiently connects people and goods to international markets. The Midwest Cargo Hub Commission (MCHC) works with regional airport officials, transportation and logistics providers, and air carriers to increase St. Louis’ international passenger and cargo connectivity. 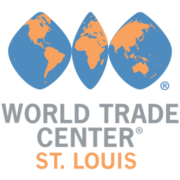 For more information contact Karen Gentles at kgentles@worldtradecenter-stl.com or 314 615-8141.